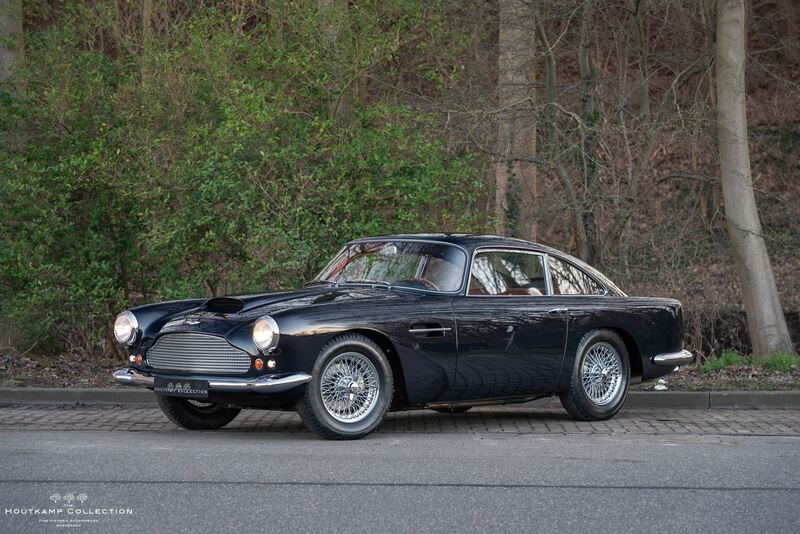 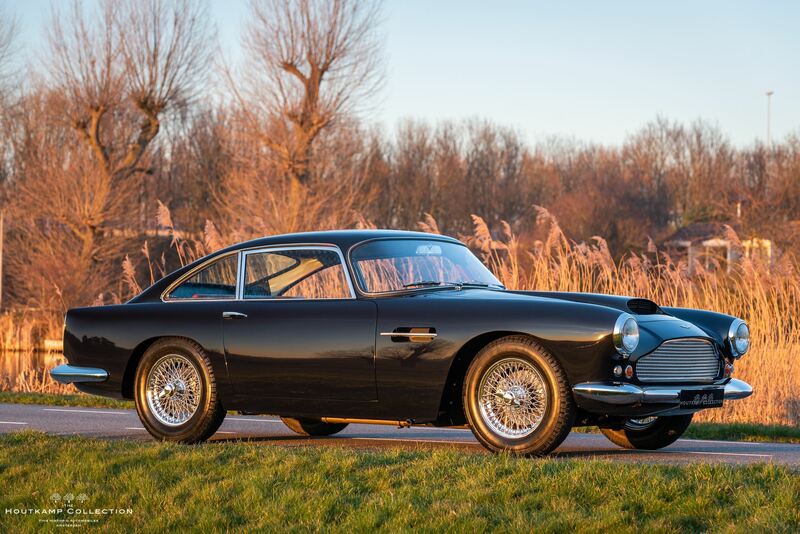 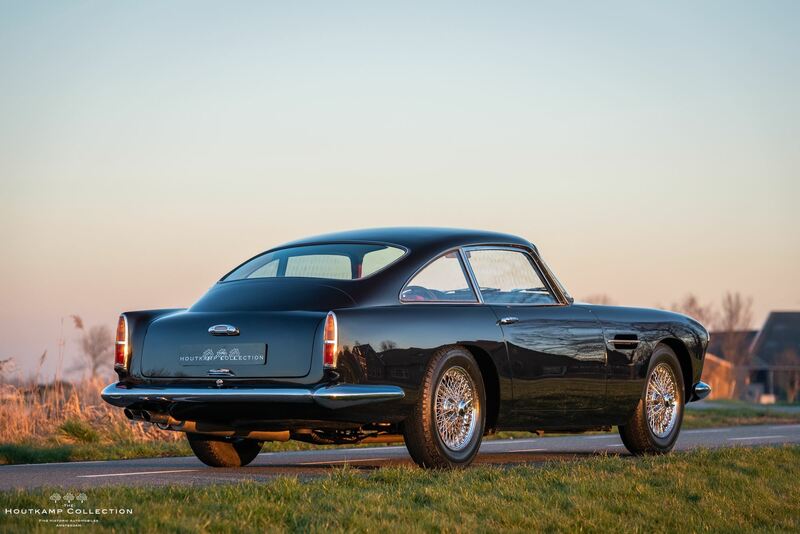 1 of only 45 original left hand drive series II Aston Martin DB4’s. 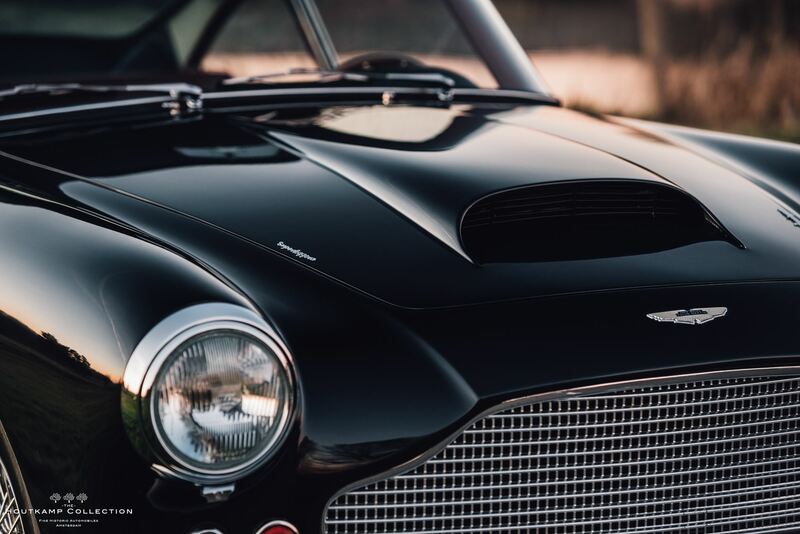 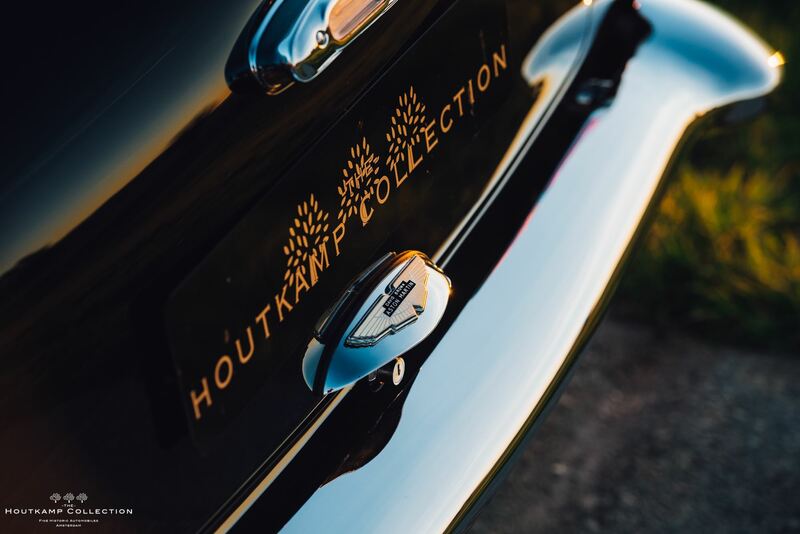 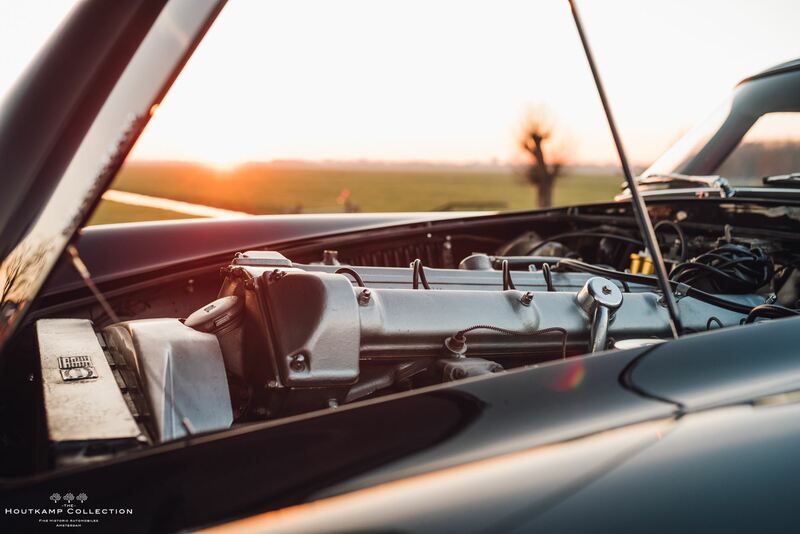 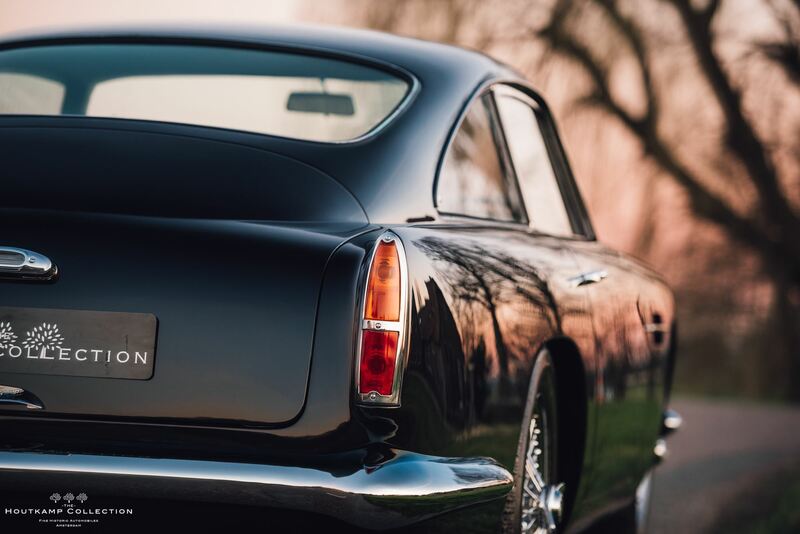 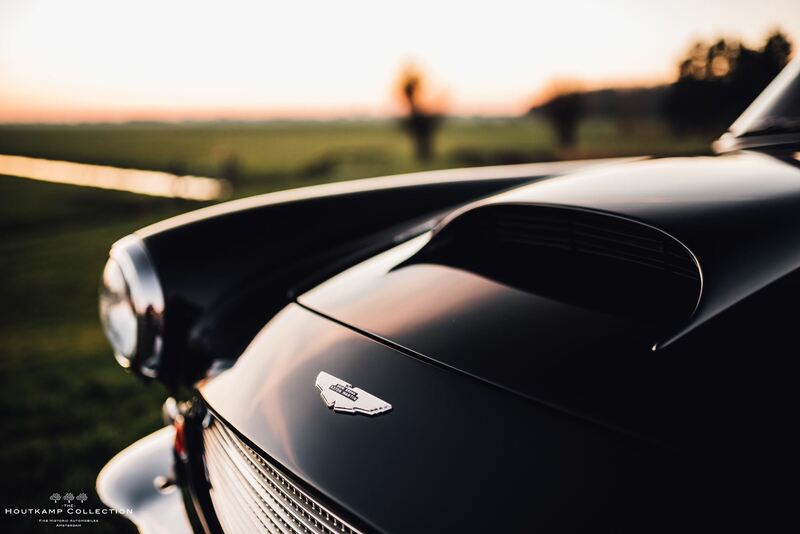 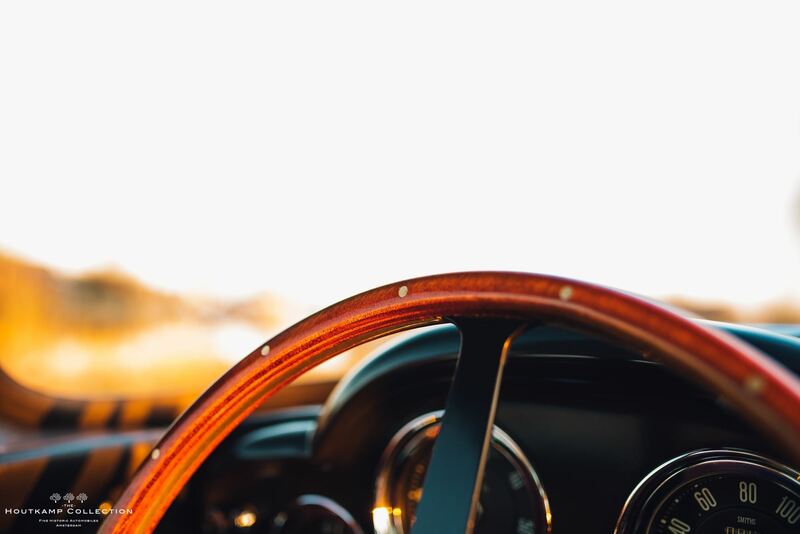 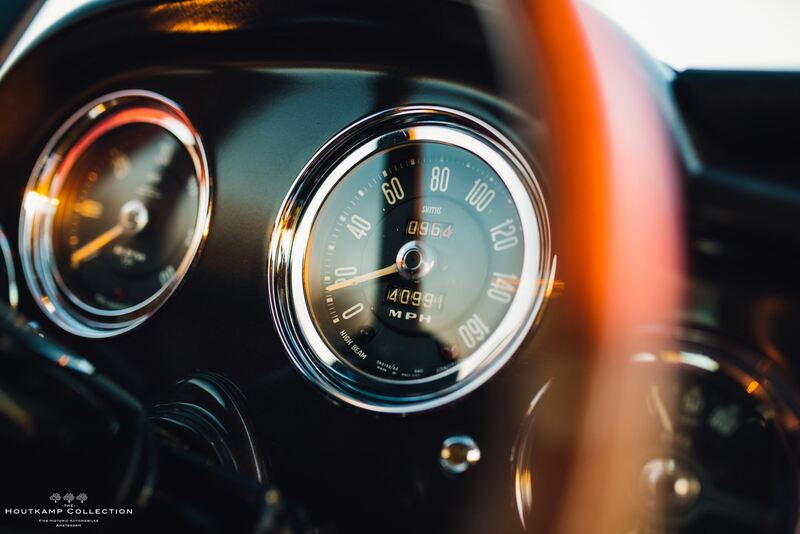 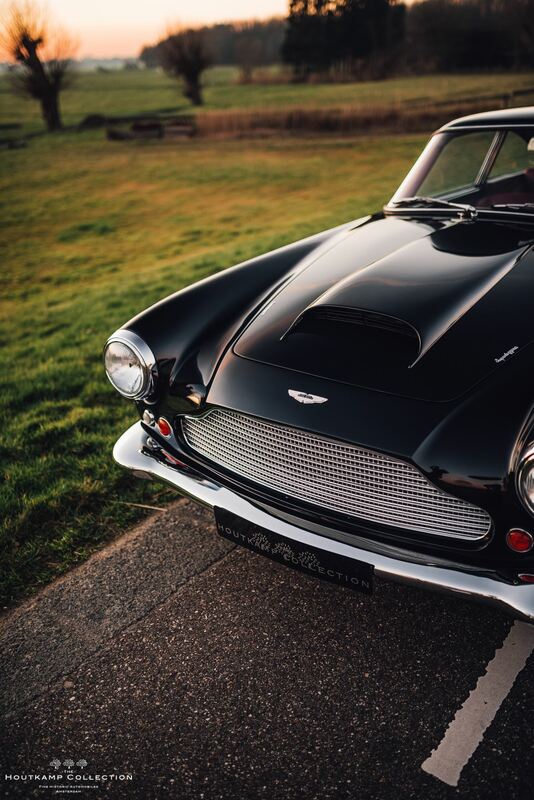 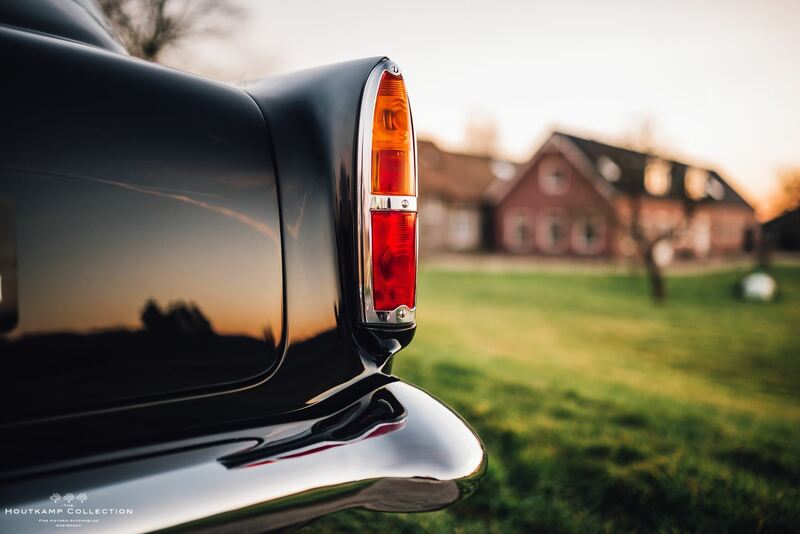 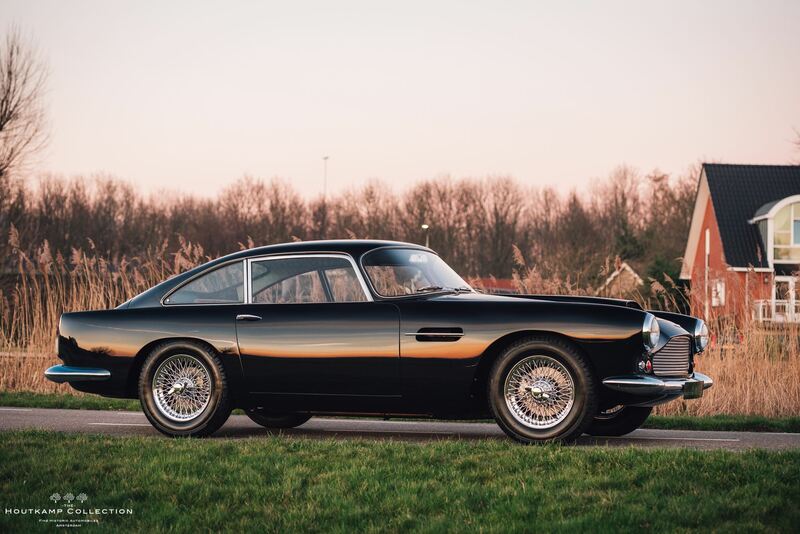 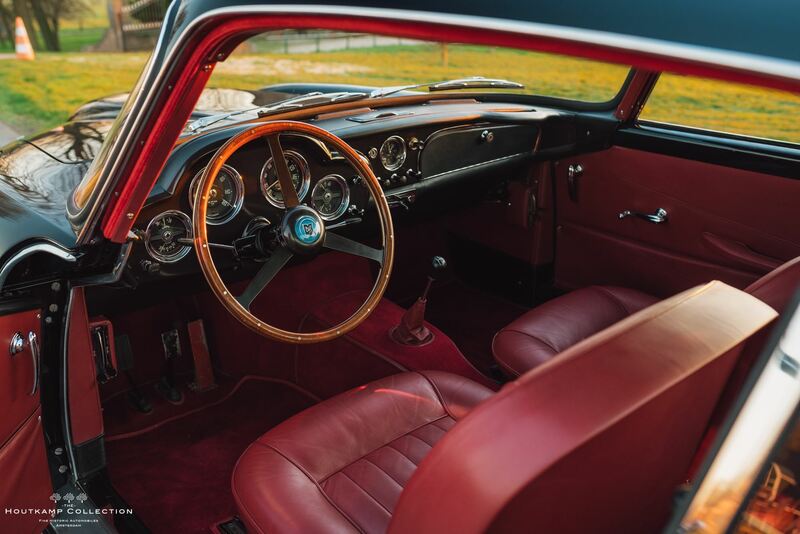 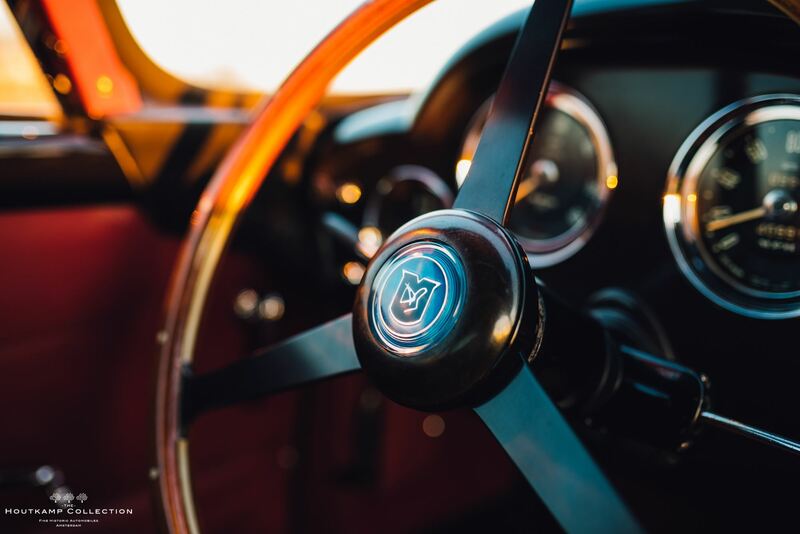 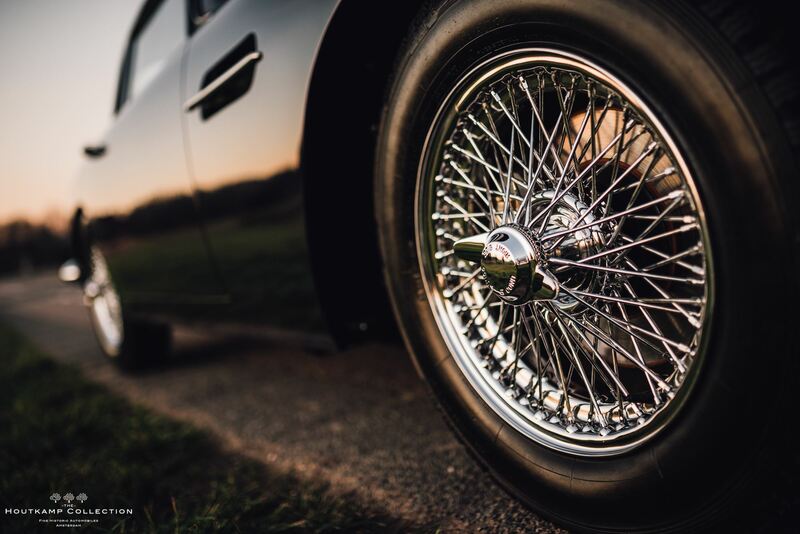 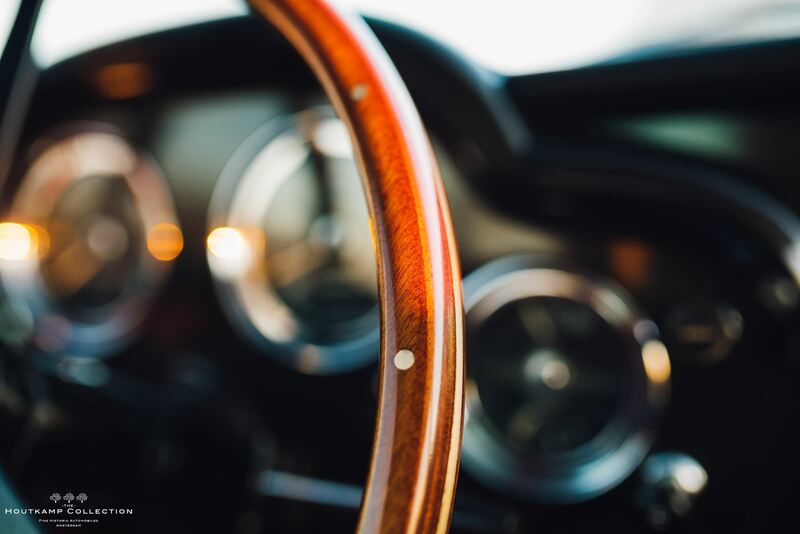 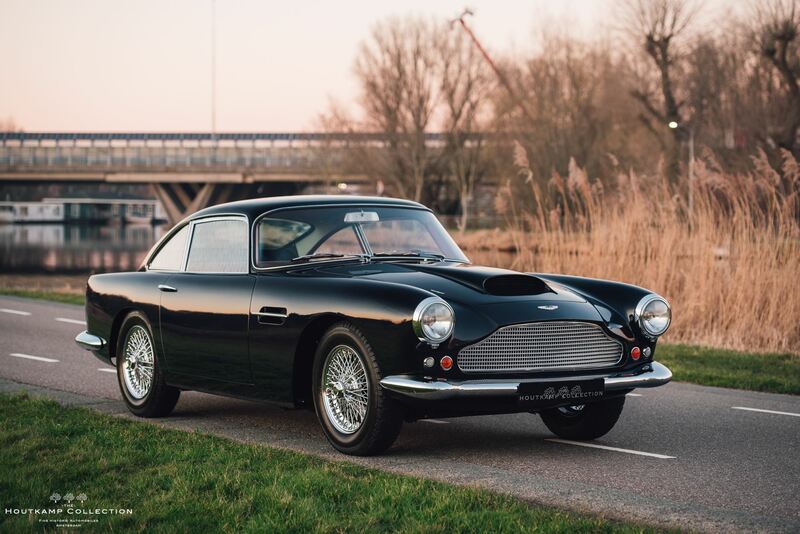 When it was first unveiled, the Aston Martin’s DB4 was a tremendous step forward for the firm, and represented a technologically and aesthetically impressive car that has now reached cult status for collectors and casual enthusiasts alike. 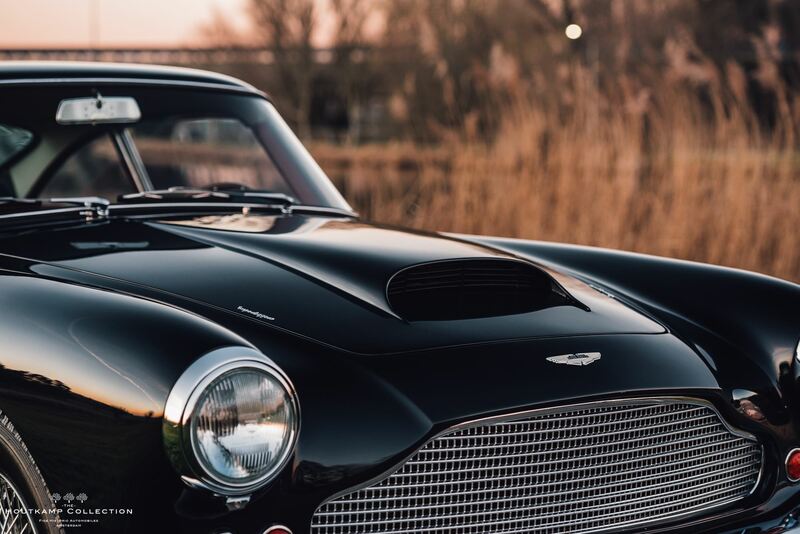 Much of this has been fueled by the substantially similar DB5’s association with James Bond, but many seasoned collectors prefer the compact dimensions and purity of the early DB4. 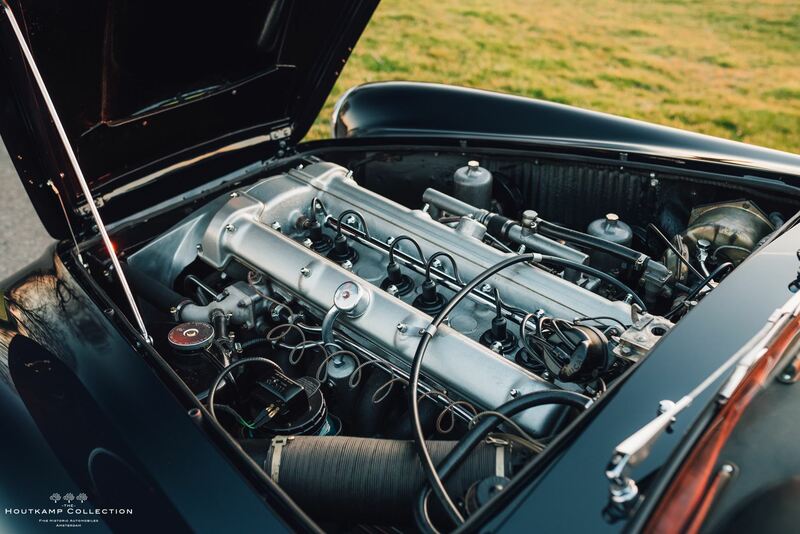 From a technological standpoint, the car was quite impressive, with an all new 3.7 liter twin-cam inline-6, disc brakes all round, and rack and pinion steering. 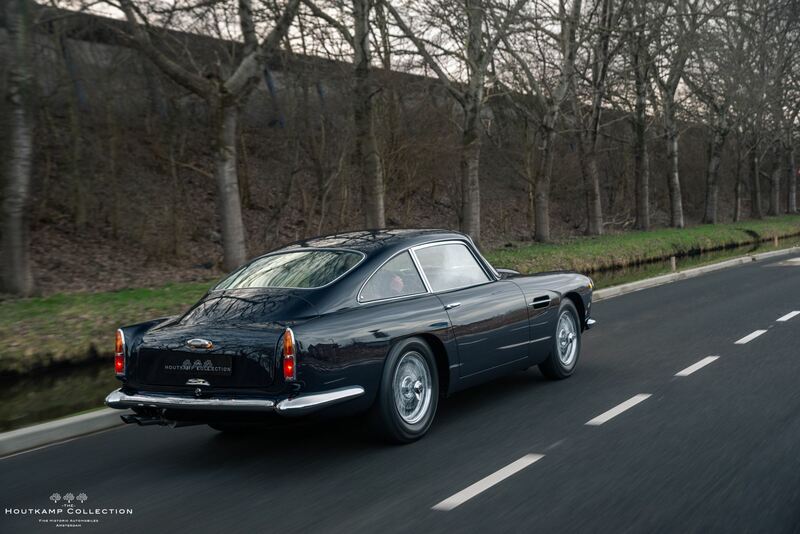 The bodywork, by Touring of Milan, is achingly gorgeous, and constructed in their famous Superleggera style of aluminum skin wrapped around small tubes. 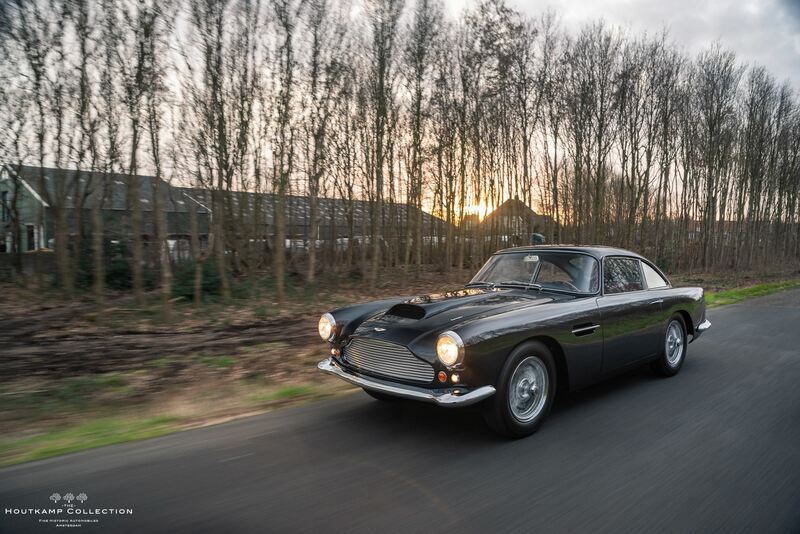 This example, is one of only forty-five left-hand-drive Series II DB4s recorded in the 2005 Aston Martin Owners Club Register. 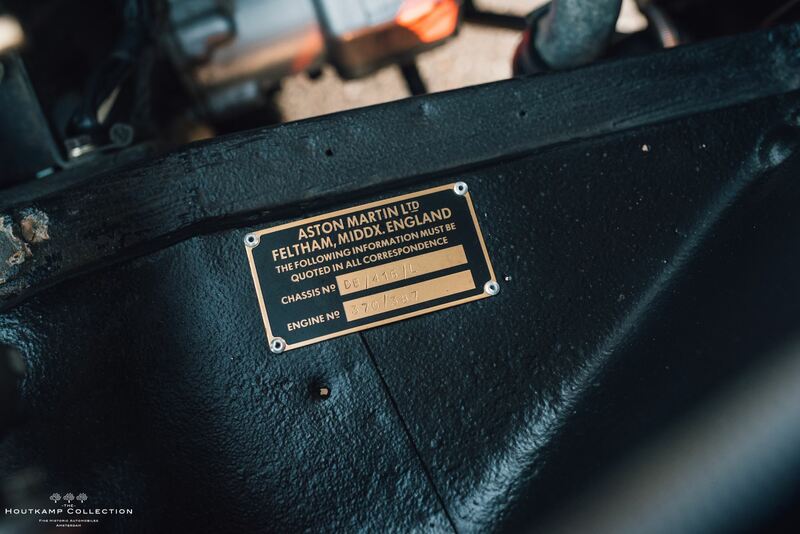 The Aston was originally delivered in Bronze and was newly sold via the New York Aston Martin dealer to it’s first owner at the 22nd. 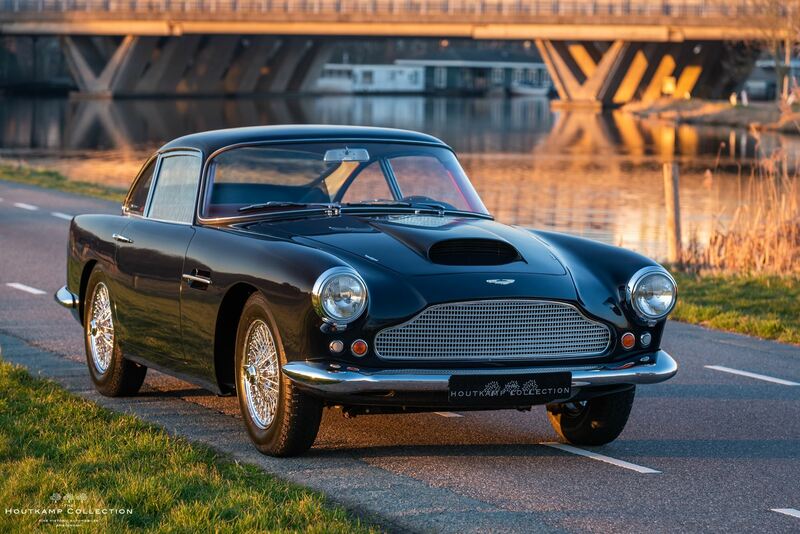 of March 1961. 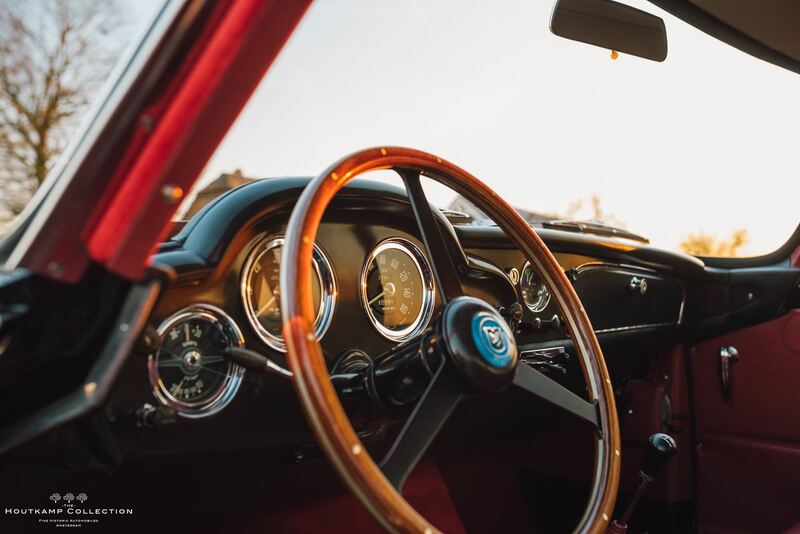 .In his free hours, Mr. Dingley was often seen at the race track as he was known as being a skilled racing driver who participated in many events. 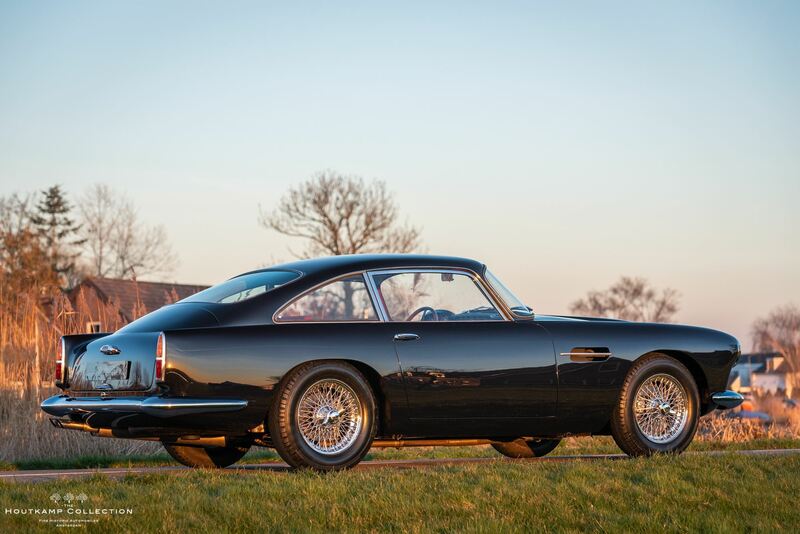 He mainly drove with a Lotus Eleven but behind his name we also find sometimes an Aston Martin DB4 GT! 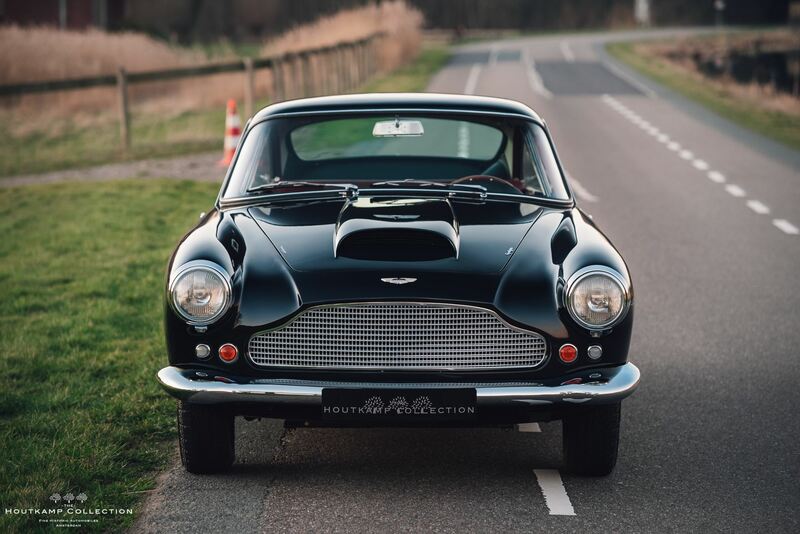 This specific Aston Martin DB4 was undoubtedly his transportation to and from the racetrack for such a distinguished sportsman. 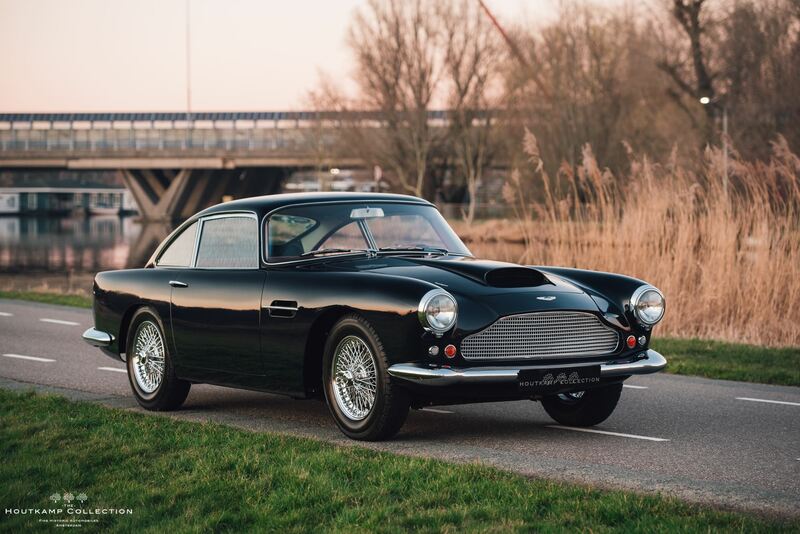 Approximately 26 years ago, in 1989 the Aston Martin was purchased by an Italian collector who brought the Aston over to Europe. 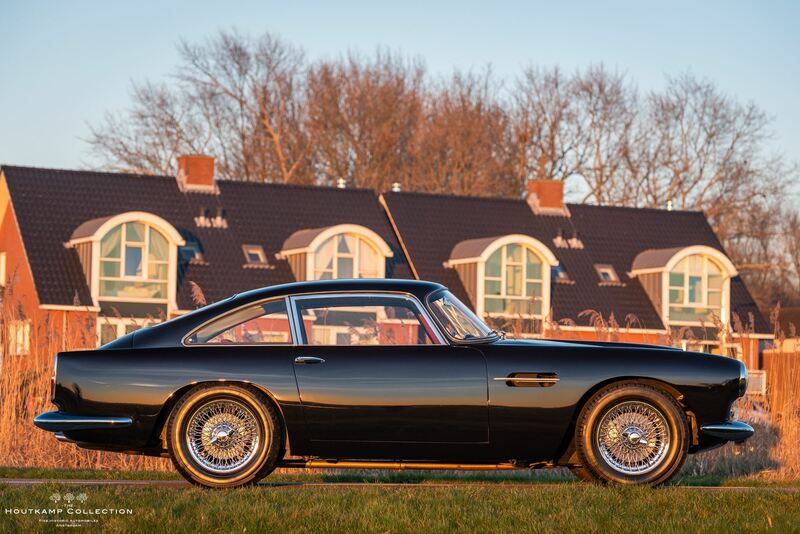 This gentlemen is known as a serious Aston Martin collector with a large collection. 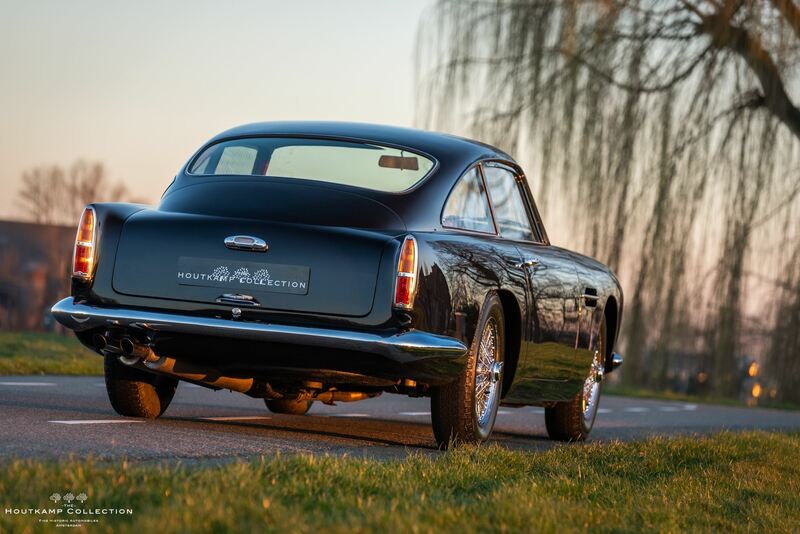 Over the years, he decided to restore the Aston Martin and this has been done very thoroughly. 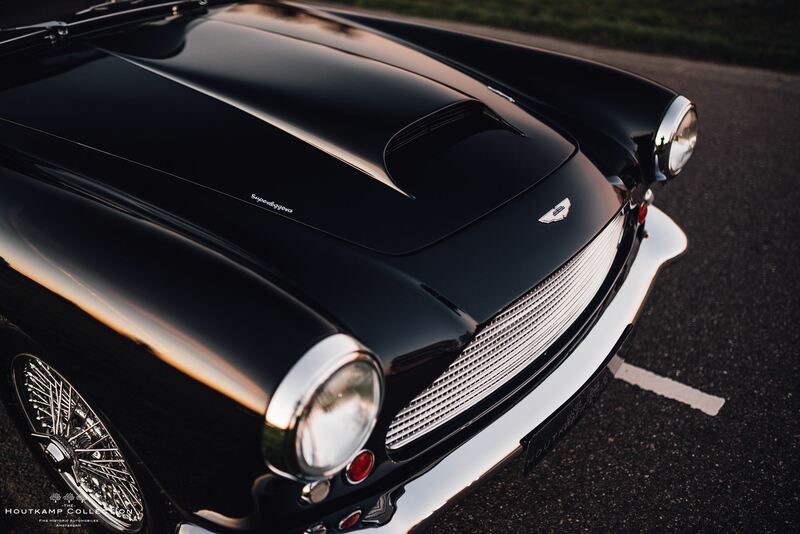 The color was changed from Bronze to the more common Silver in which the Aston presents very well. 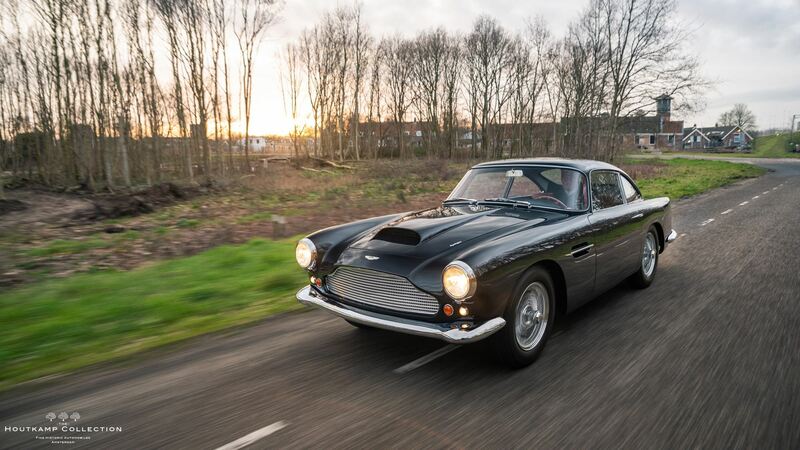 When driving this Aston Martin, the reactions are fantastic. 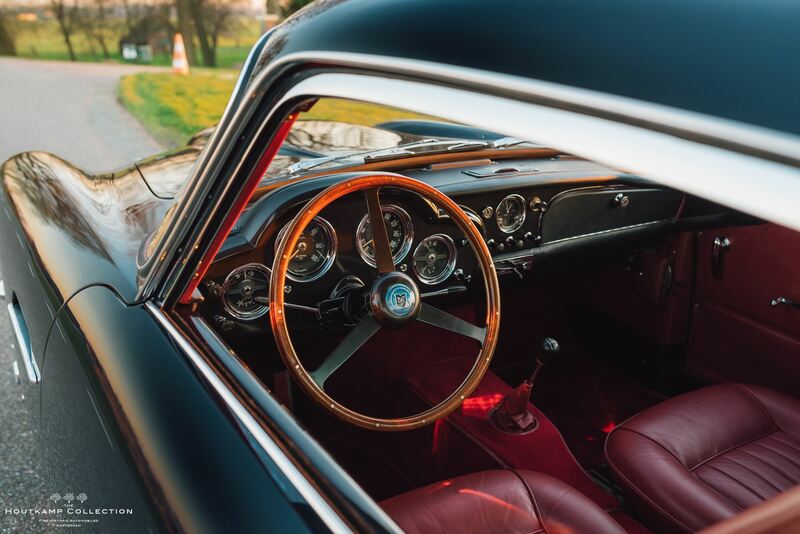 It seems as everybody becomes a classic car enthusiast as many people show their enthusiasm about the car. 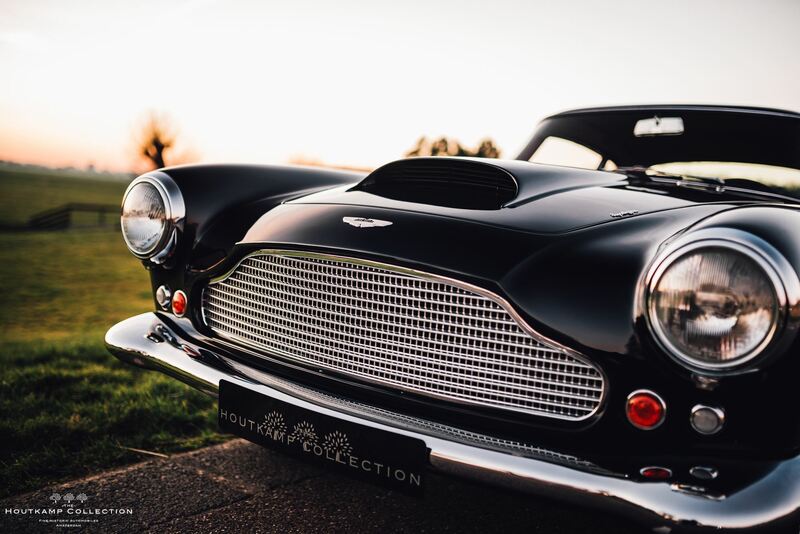 This is not strange because the looks of the DB4 are so fabulous. 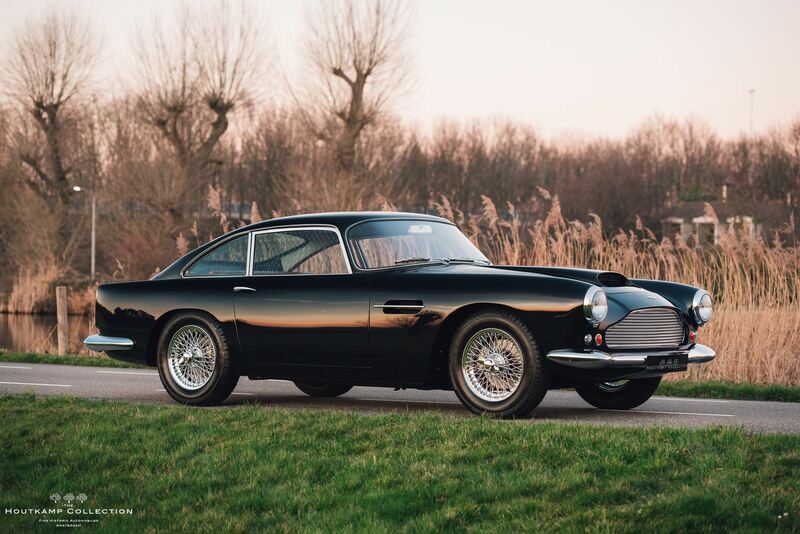 Actually, the DB5 might be worth more money but many people would agree with us that the DB4 is probably the better looking of the 2.Because of the restoration which was carried out by the Italian gentlemen, the body of the car looks very nice. 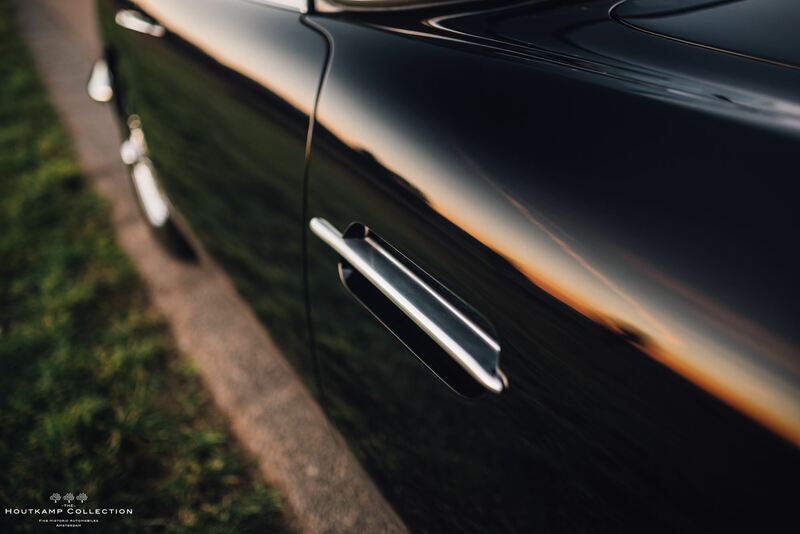 The doorfittings are perfect en the aluminium and chrome parts are in a very nice order. 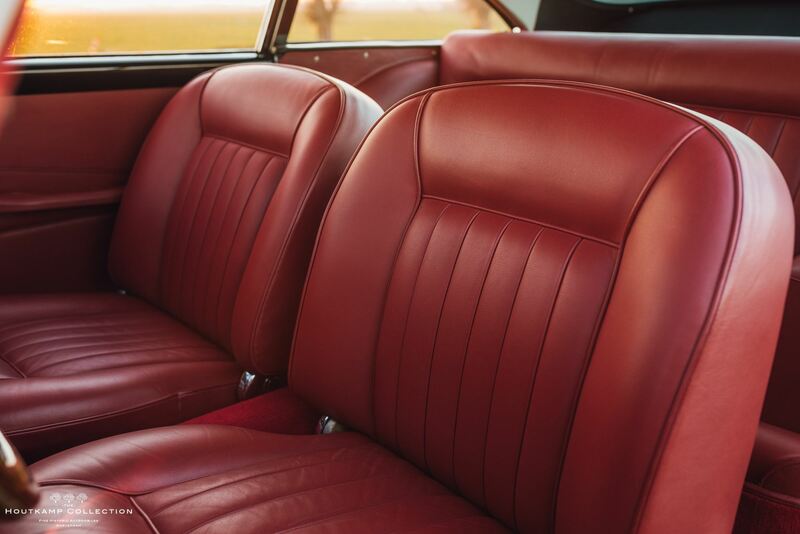 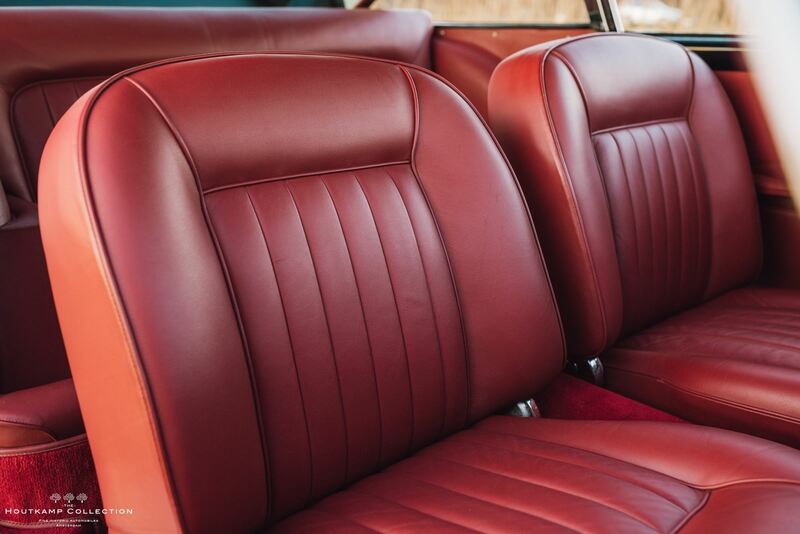 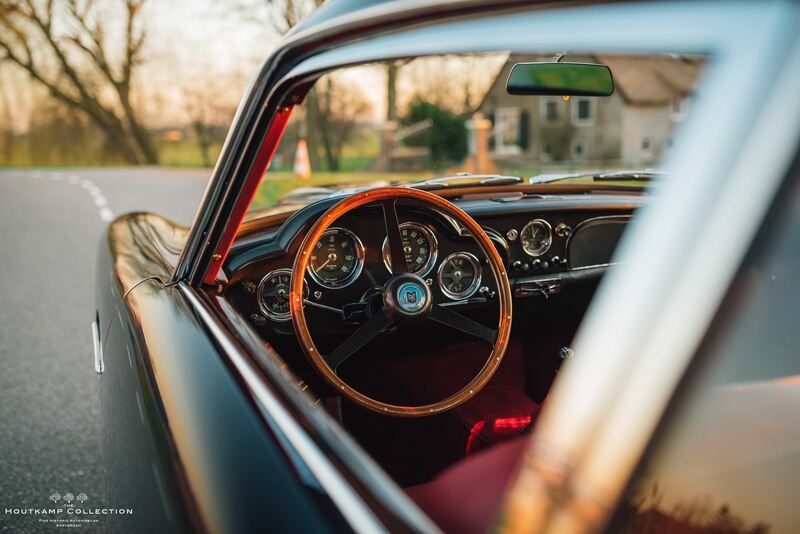 During the restoration, the interior of the DB4 has been completely refurbished and the seats are very properly restored on their original way. 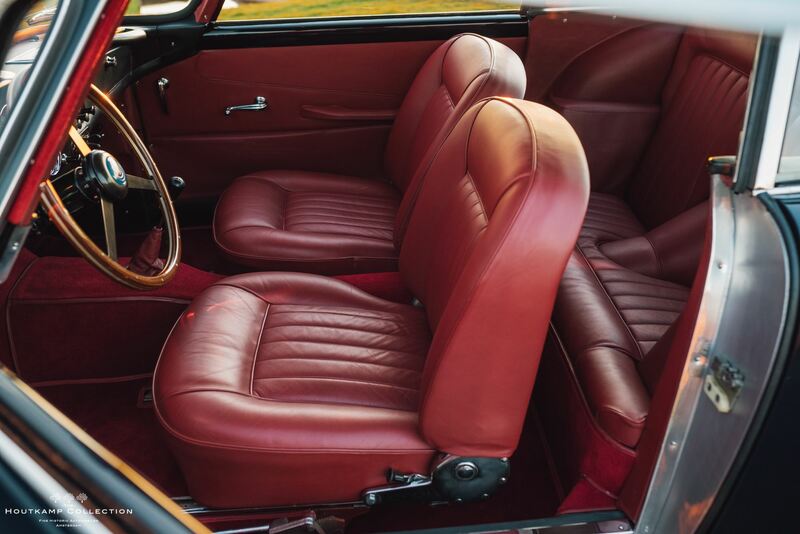 The carpets are also in a very nice order. 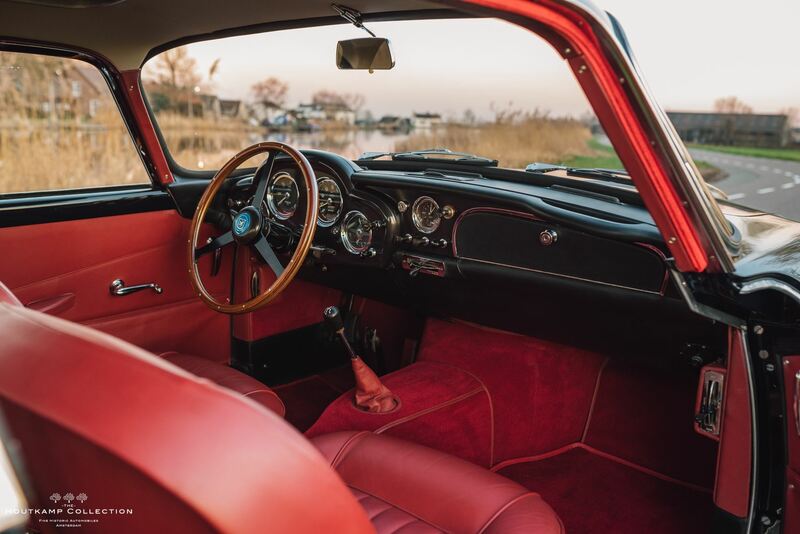 During the restoration 2 details have been restored in a non-original way being the head lining which is currently in red as well as the dashboard which is sprayed in body color.All the meters, gauges and switches are in excellent and perfect working order. 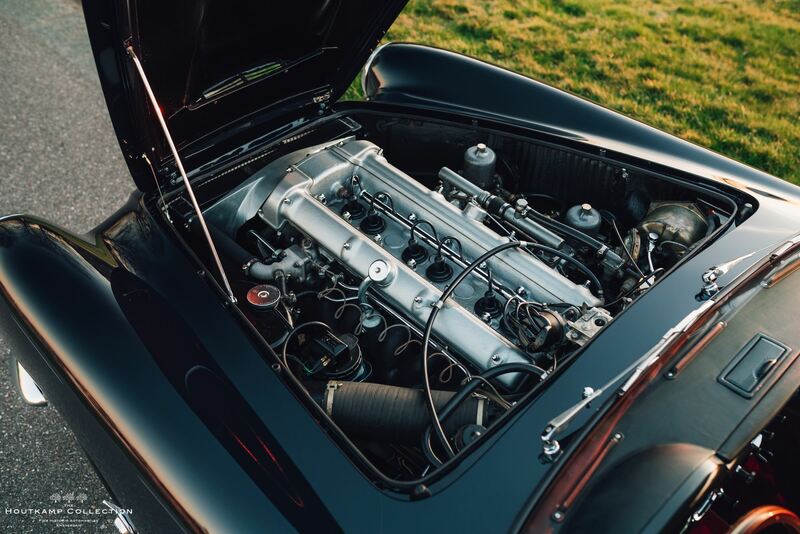 The engine bay is very correct and the engine shows the matching number to the classis according to the build sheet.Also the boot is in a nice order and small details such as the battery connector are still in the correct place. 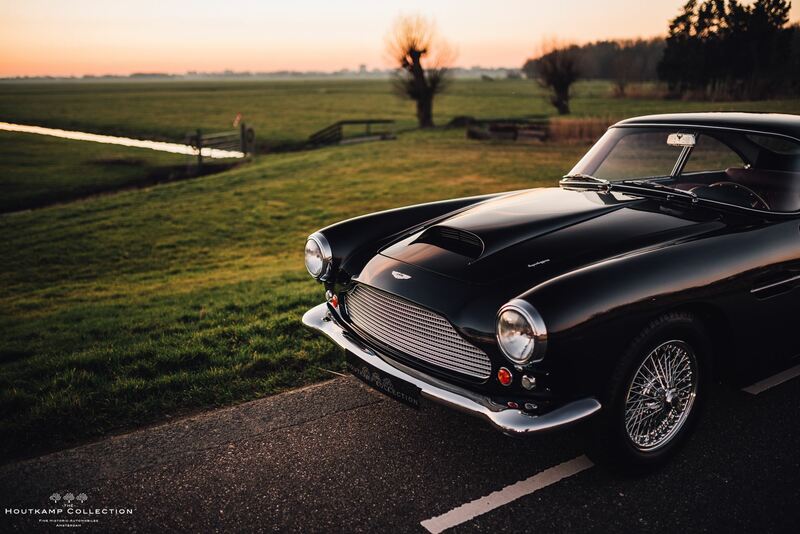 Driving an Aston Martin is special. 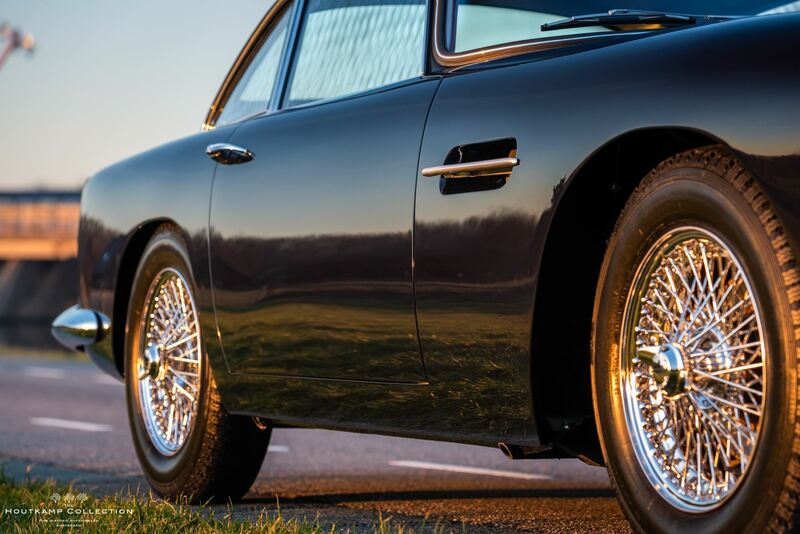 Everybody knows the brand because of James Bond and everybody seems to love the brand. 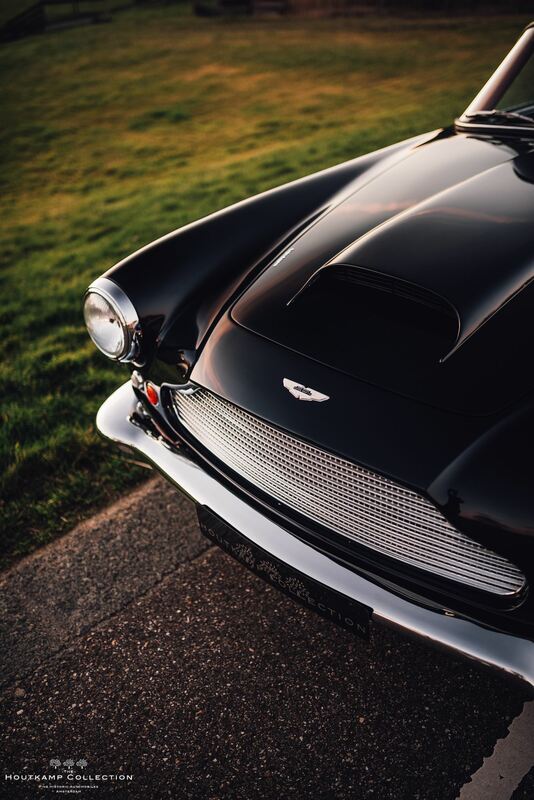 An Aston Martin is always accepted and welcomed with a smile. 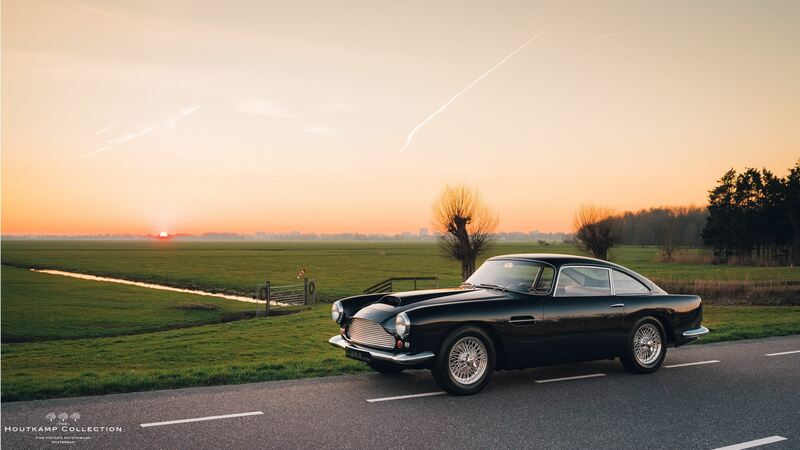 People enjoy seeing an Aston life on the street. 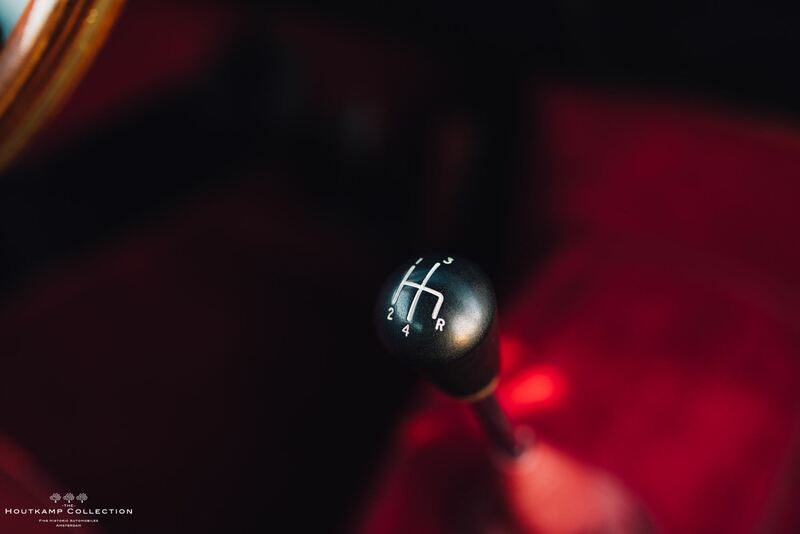 This specific example is a very nice driver. 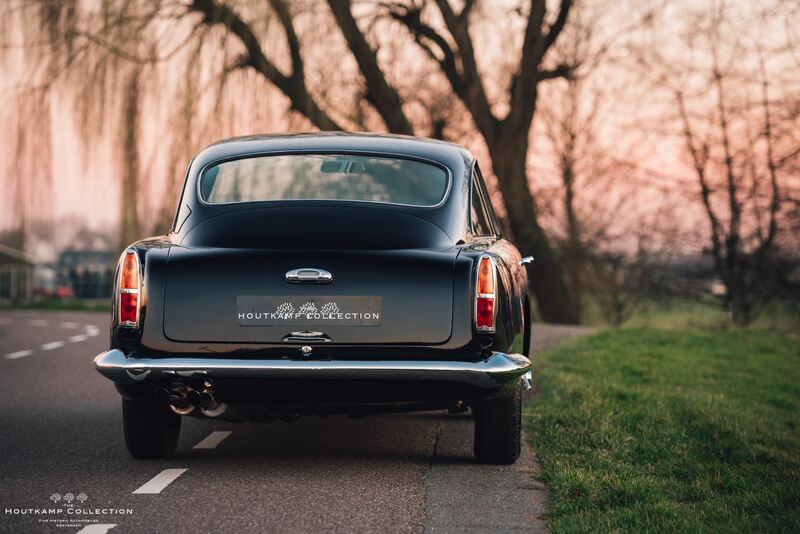 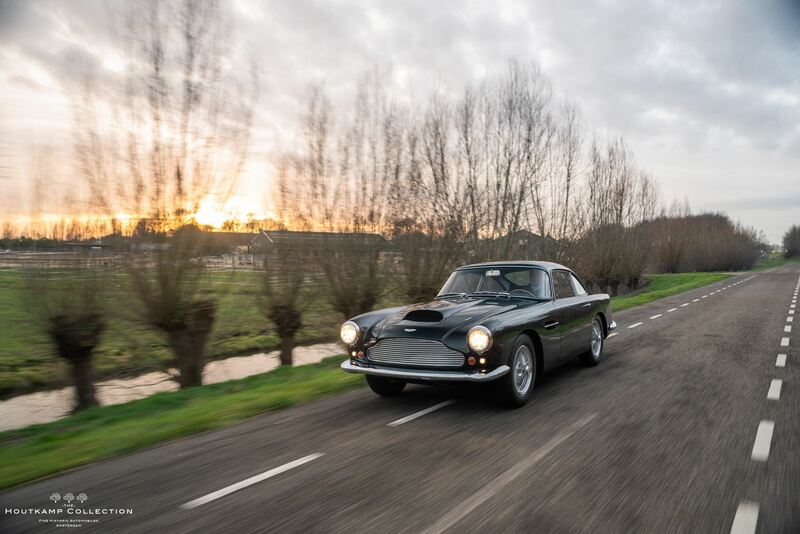 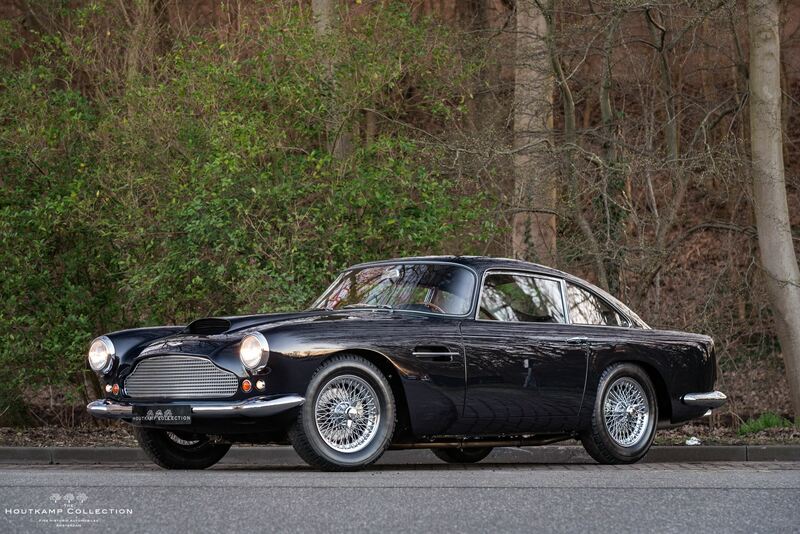 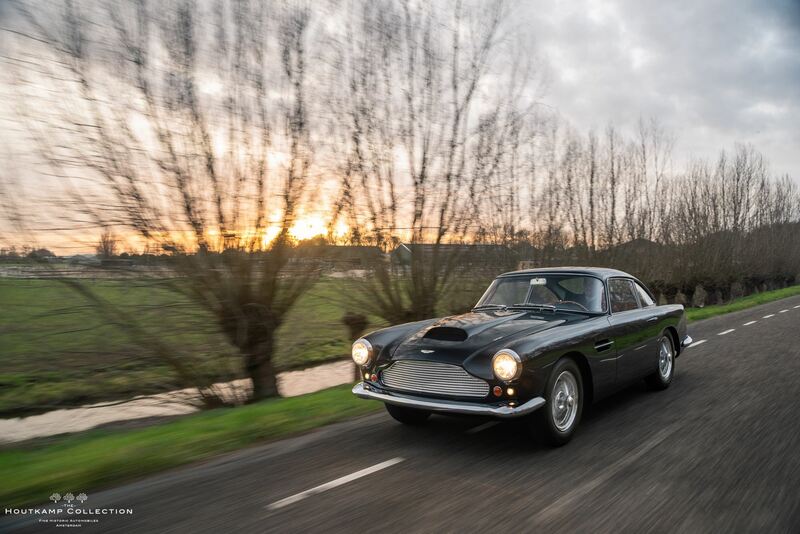 The car handles very well and the power is outstanding.A DB4 is actually the first Aston built which could be driven on a daily base in our opinion because the handling is very easy.For the continent it is off-course a huge advantage that this Aston is an original left hand drive example. 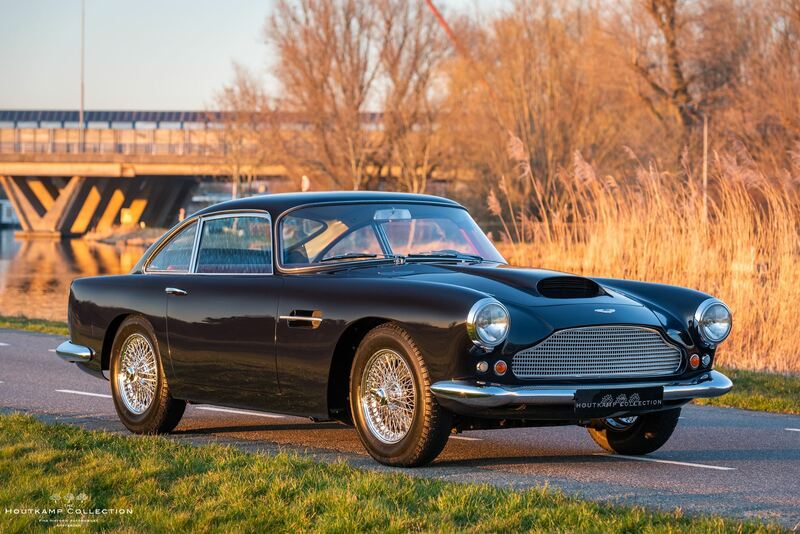 But amongst this advantage, the amount of left hand drive cars made by Aston Martin is rather low which results in a huge demand for these cars.